Graphic design and marketing workshops for web and print. A personal and thorough workshop approach to making sure you get the best for your business. 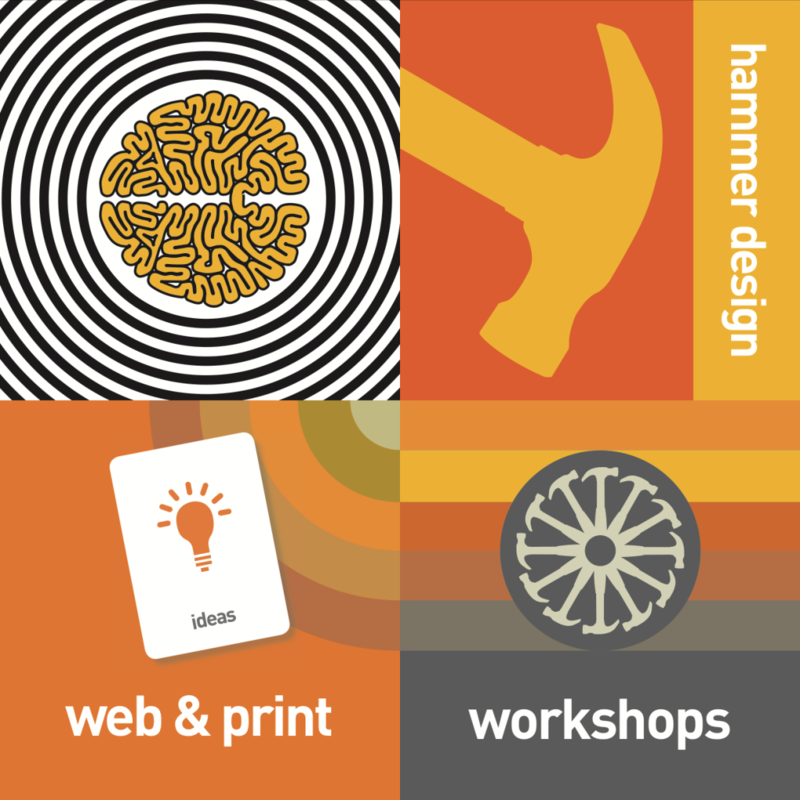 Whether you need to build or revamp a website, improve your promotional material, give yourself a brand image overhaul, find new customers or just find out the next new tools to do all this… a hammer workshop can help you. “hammer workshops are tailored to your needs, they answer the questions you really need answered, practical and straight forward support and advice”. What do you need from a graphic designer for your business? with any basic needs you want answering and we’ll get straight back to you.